I’ve been super busy adjusting back to my last year of my undergraduate program in University. Seems like it has taken FOREVER to get here, but I’m super excited for the holidays! A while ago I went to the States with my boyfriend and I picked this bad boy up. I was pretty excited, as I’ve heard that bareMinerals has some amazing shadows, and I definitely have to agree. 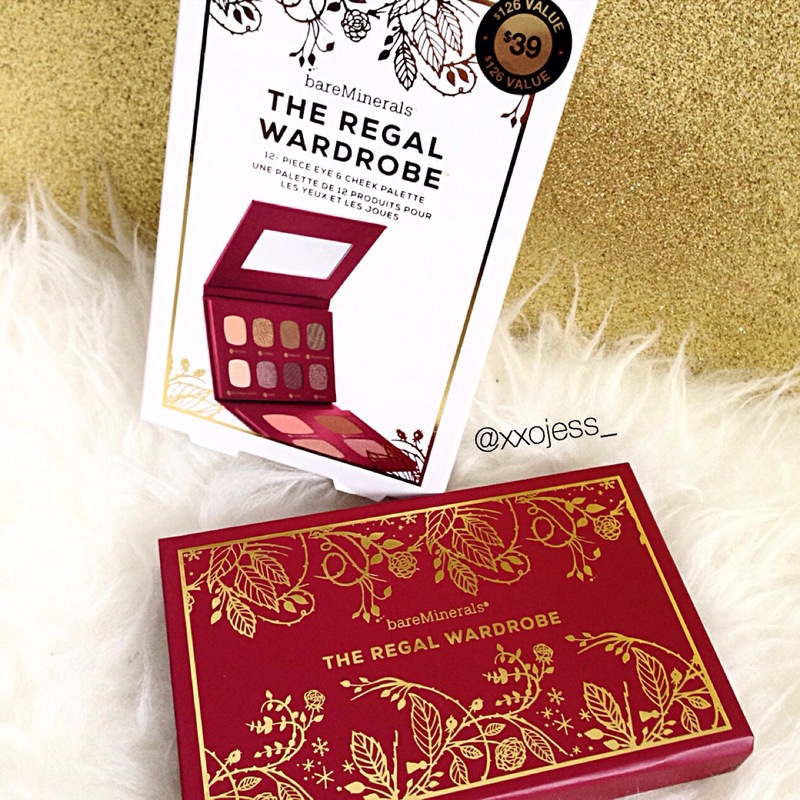 The bareMinerals Regal Wardrobe palette comes with 8 eyeshadows, two blushes (technically three, but I kind of consider one a highlight), and a bronzer. It retails for $39 in the U.S. and $55.85 in Canada, but on Nordstrom it is now on sale for $41.53! 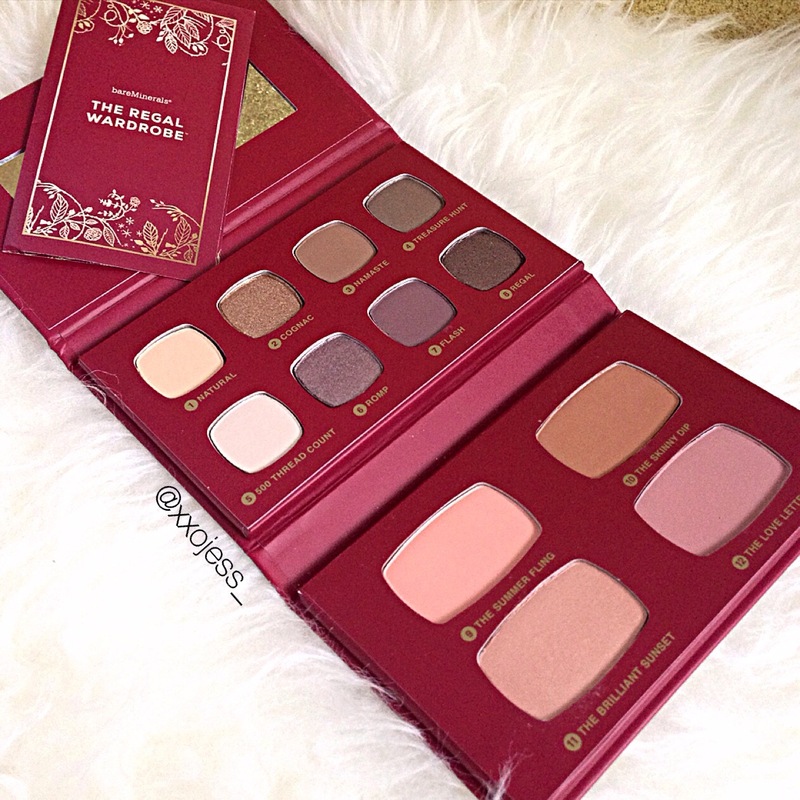 To be completely honest, I think you should go to the site NOW and purchase it, since it truly is a great palette. You can click here to purchase it! 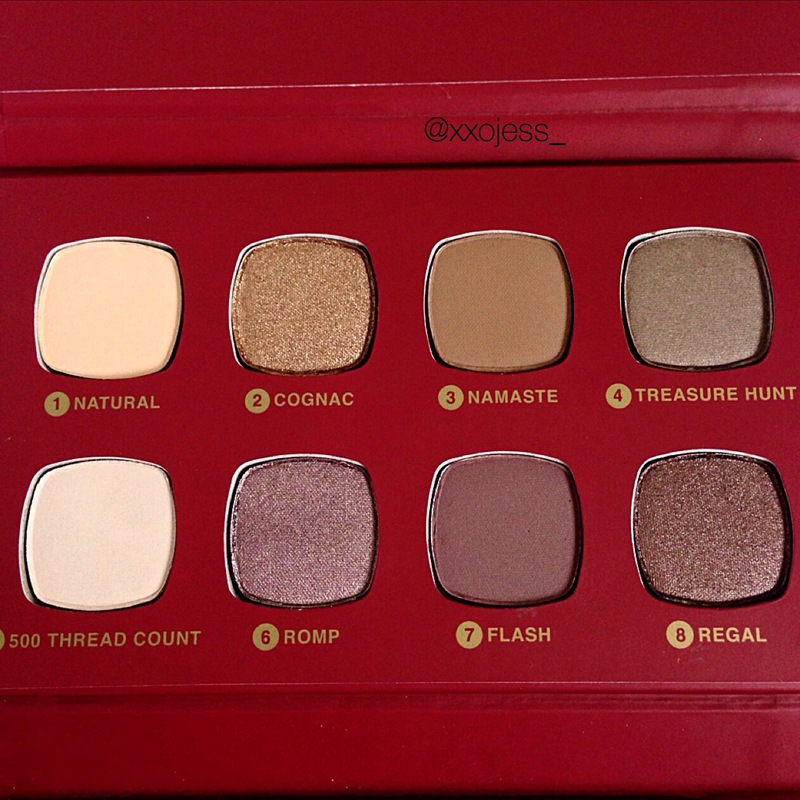 The palette comes with 8 shadows, and let me tell you, they are buttery and smooth. They are extremely pigmented and blend like a dream! I honestly am SO happy with these eyeshadows! 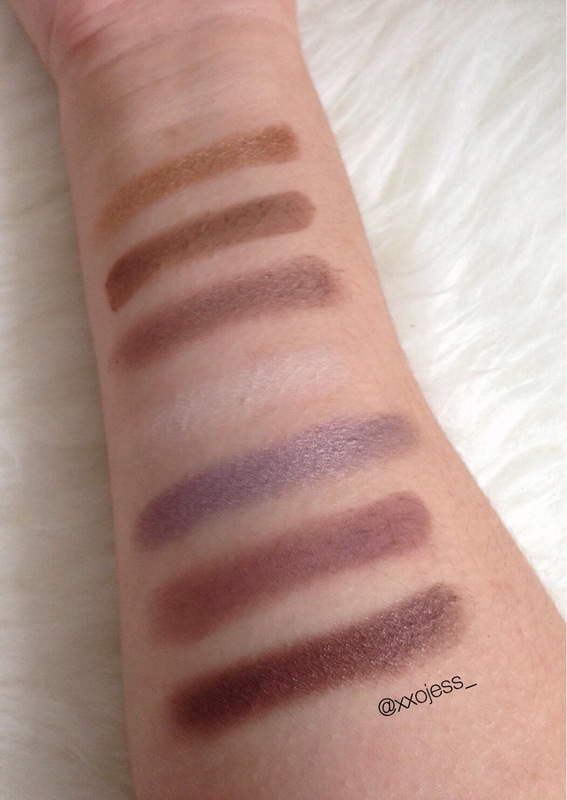 Swatches from the top to bottom are: Natural, Cognac, Namaste, Treasure Hunt, 500 Thread Count, Romp, Flash, and Regal. My favourite shades are probably Romp, Flash, and Regal. Those three together, with 500 thread count as a brow bone highlight…DAMN. When I first swatched these blushes, highlight and bronzer, I was a bit disappointed to be honest. They weren’t very pigmented, as you can see from the swatches in the picture (from top to bottom: Summer Fling, The Skinny Dip, The Brilliant Sunset, The Love Letter). But to be honest, once I applied it, I quite enjoyed the soft colour it gave and the highlight provided a nice and settle glow to my cheek bones. The only shade I don’t think I will reach to a lot is The Skinny Dip, just because it looks slightly orange on me, but I can work with it. I just think I have some better bronzers that I would rather use. 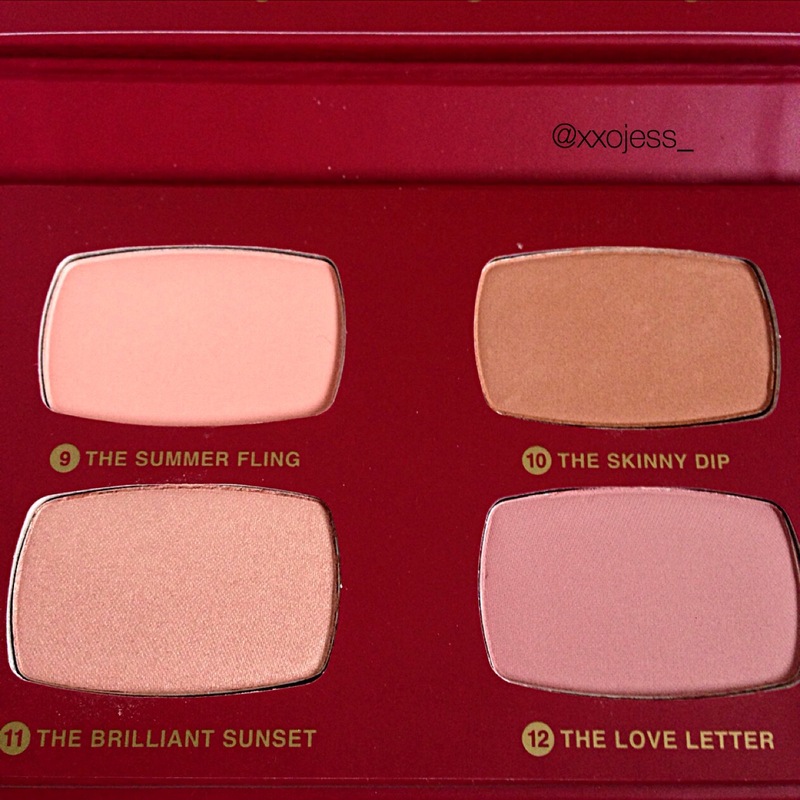 What do you all think of this palette if you have it? And if you don’t, do you see yourself getting it? Very informative post Jess! I really like how the shadows are primer infused. They truly are buttery! Right?!! It is so stunning! Thanks so much for visiting and leaving a comment–it means a lot!! Cognac was the color that got me! When I searched it at Ulta I was in love! 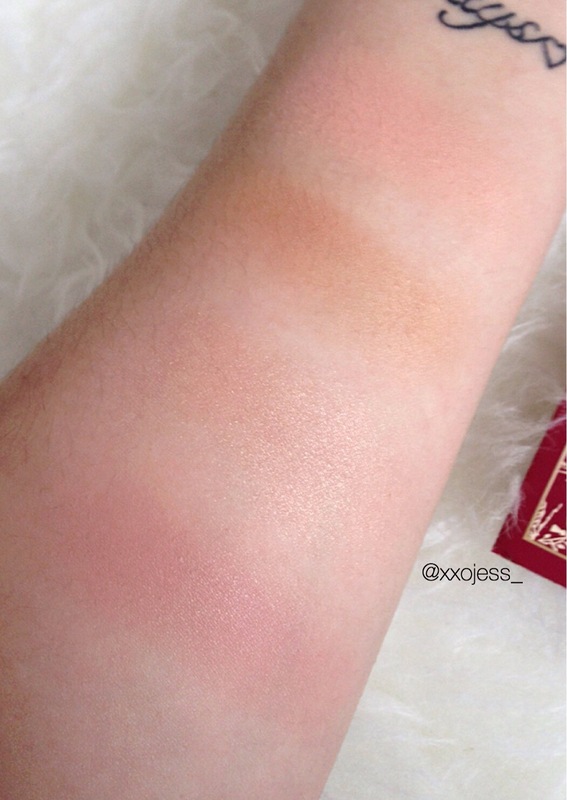 Great post and love the swatches!